Who cares if summer music festivals have come and gone this year, Chicago will host a number of amazing concerts in November as part of the Red Bull Music Festival. Kicking things off with a stacked music showcase from Kanye West’s G.O.O.D Music label, which boasts performances from Nas, Pusha T, Teyana Taylor, Valee and more at the Wintrust Arena, the festival will also host concert from Vic Mensa, Cupcakke,Jamila Woods and more. Tickets for the festival go on sale Tuesday, September 25th at 10:00 AM (CT) and fans can visit RedBullMusic.com/Chicago for more info. 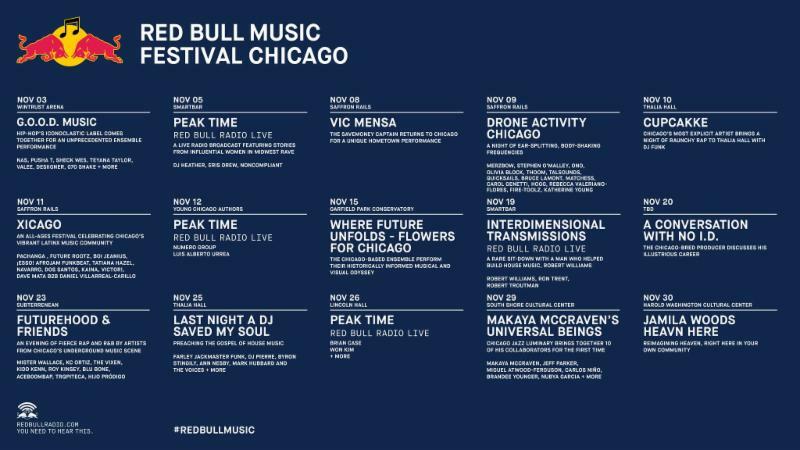 Check out the Red Bull Music Festival Chicago lineup below.